Deposed Catalan President Carles Puigdemont and four ex-ministers have turned themselves in to Belgian police, the prosecutor's office said. They fled to Brussels after Madrid’s central government imposed direct rule over the autonomous region. "This morning the five people wanted by Spain presented themselves to police in Brussels. They were put in custody at 9:17 this morning," spokesman for Brussels prosecutors Gilles Dejemeppe told a news conference on Sunday. "The judge will hear the people this afternoon. He has until tomorrow morning to decide." These people will be detained for a maximum of 24 hours, until Monday morning, the spokesman said, adding that the politicians are accompanied by their lawyers and interpreters. 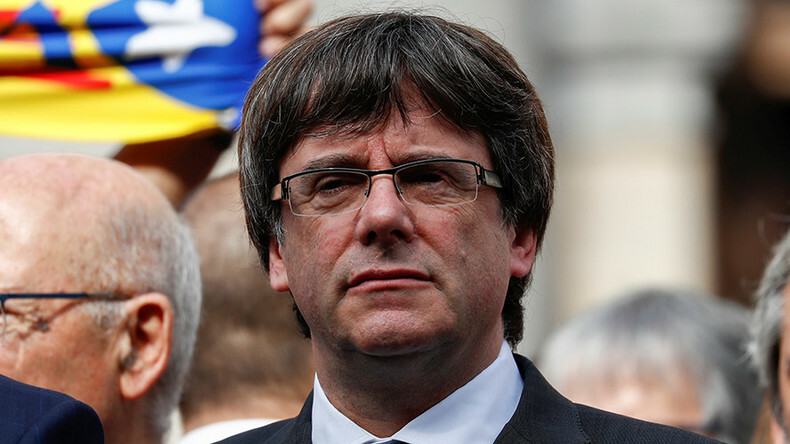 Puigdemont appeared in Brussels alongside other members of his cabinet on Monday. That same day, the Spanish Prosecutor’s Office announced that it had filed a lawsuit against him, other members of his cabinet, and some regional MPs on rebellion, sedition, and embezzlement charges with the Spanish National Court. 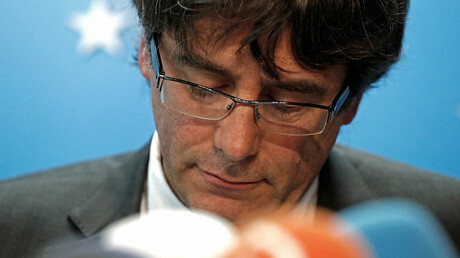 The ousted leader spoke to the press in Brussels. When asked whether he will be seeking political asylum in Belgium, Puigdemont said that he did not go to Brussels for that reason. On Friday, a Spanish judge issued a European arrest warrant for Puigdemont, whose request to testify by videoconference was rejected. Later that day, Belgium’s prosecutors confirmed they received the arrest warrant for Puigdemont and promised to study it. Catalonia’s referendum on October 1 saw the region overwhelmingly (over 90 percent) voting to break away from Spain. Fewer than 50 percent of those eligible to vote took part, with pro-independence activists blaming Madrid’s crackdown, including the blocking of polling stations and confiscation of votes, for the low turnout. The Catalan parliament declared independence from Spain following a vote on October 27, almost a month after the referendum. The vote was boycotted by MPs supporting union with Spain. In response, the Spanish Senate triggered Article 155, stripping the Catalan government of power. Prime Minister Mariano Rajoy set snap elections in the region for December 21.